This post is an update of an old post https://blog.istern.dk/2012/05/21/running-sitecore-field-editor-from-a-command/ . 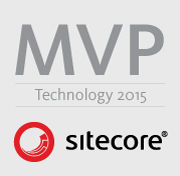 Sitecore 8 brought along speak and deprecated the old solution presented in that blog post. So let’s speakify it and create a new solution. 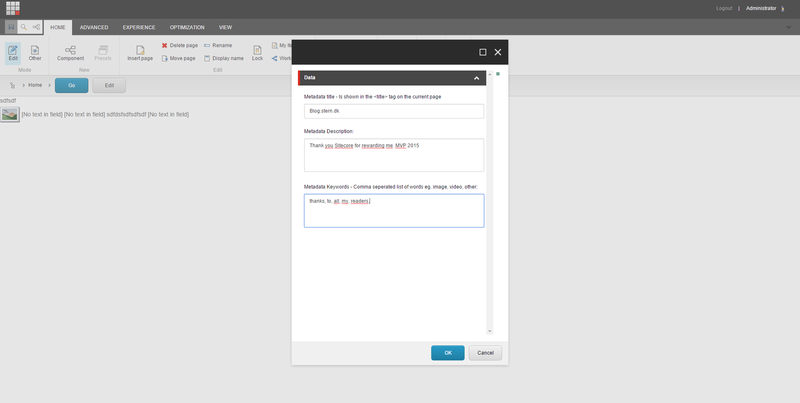 Luckily Alister Berry provided an excellent blog post about creating simple custom ribbon in the experience editor http://www.programmingbynumbers.com/2015/01/31/creating-a-new-experience-editor-button-in-sitecore-8/ – So go read the post a comeback when your are done J. For the rest of this post the button or functionality, if you like, will be to edit the HTML metatags ie. Title, meta-description, meta-keywords. So let us begin with creating the button. 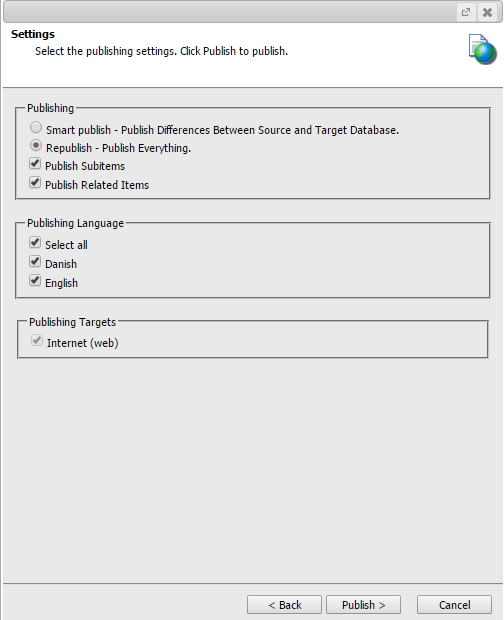 Start Visual Studio launch the Sitecore Rocks and go to the Core database and navigated to “/sitecore/content/Applications/WebEdit/Ribbons/WebEdit/Page Editor” under the item create a new folder and the the newly created folder add a new Large button Fille out the fields as shown below. Rather simple file which calls some server side code. Also note that the settings will be save to the item when the ok button is clicked right away not need to click the save button in the experience editor. 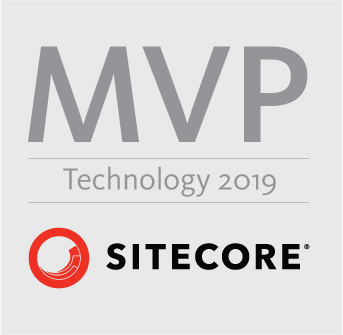 Now lyou should register the Request processor open the this file “Sitecore.ExperienceEditor.Speak.Requests.config” found in App_config/include folder. And add the new processor. Okay now to the tricky part we need to pass in which fields we want to edit to the server class GenerateFieldEditorUrl, unfortunately the parameter part of the layout isn’t rendered out and can’t be used but there are som simple ways we can force the fieldnames out in the HTML. 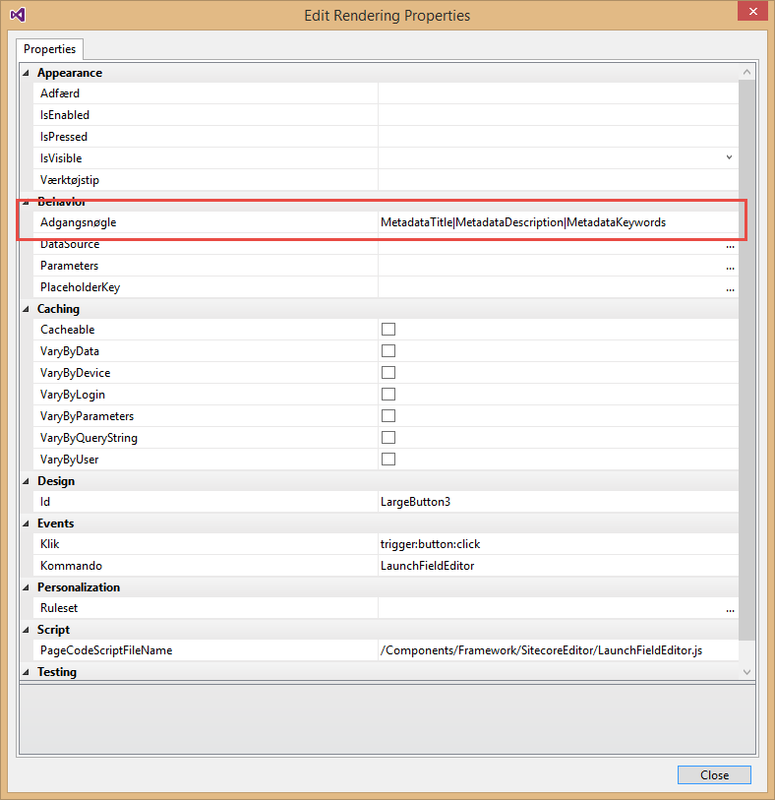 Alternatively you can set it in layout details page under tooltips, Be advised that if you choose this, editor will see the fieldname in the editors. 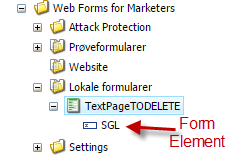 So thats how you laucnh the field editor with a speak modal dialog, in the sitecore experience editor. A problem with the two selector presented above is that they both requires you to add the fields to all language versions of the button item. So one of collegues Stephan Rifbjeg came up with a smart solution, simply to add the fields to the acceskey field on the layout see image below.